"Hands Up, Don't Shoot" became the rally cry for residents protesting against Brown's death. Immediately after the shooting, witness accounts spread that Brown had his hands raised in surrender, mouthing the words “Don’t shoot” as his last words before being shot execution-style. 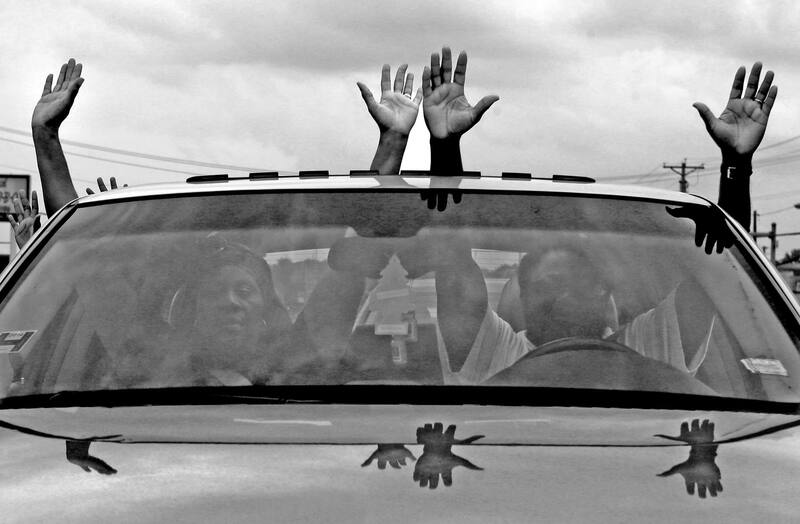 The gesture of raised hands became a symbol of outrage over mistreatment of unarmed black youth by police. "There is no evidence upon which prosecutors can rely to disprove Wilson's stated subjective belief that he feared for his safety," a Justice Department criminal investigation found. No reliable evidence proves that Brown had his hands up when he was shot, the investigation found.